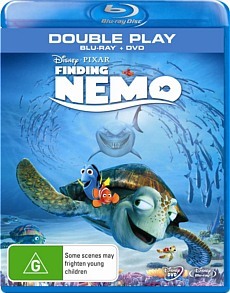 Finding Nemo Blu-ray Review. In a little under a decade, the film has positioned itself as the barometer against which every other modern animated film is measured and remains a rare example of that timeless magical quality that seems to be lost amongst a myriad of lacklustre releases. 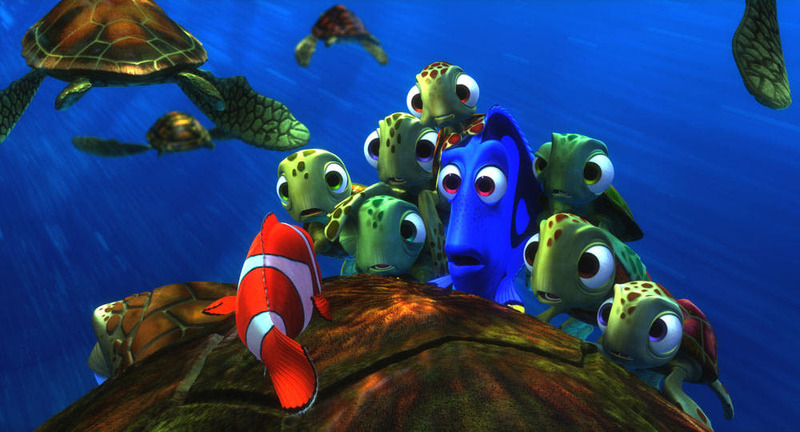 Having cemented its place amongst the pantheon of classic children’s films, Pixar’s ‘Finding Nemo’ finally makes its way to Blu Ray and the results are as stunning as you would expect. A major advantage of animated films is that the original files can be revisited and remastered much more easily than the painstaking process of cleaning up old and possibly damaged film negatives, giving the viewer a highly detailed presentation as originally intended. 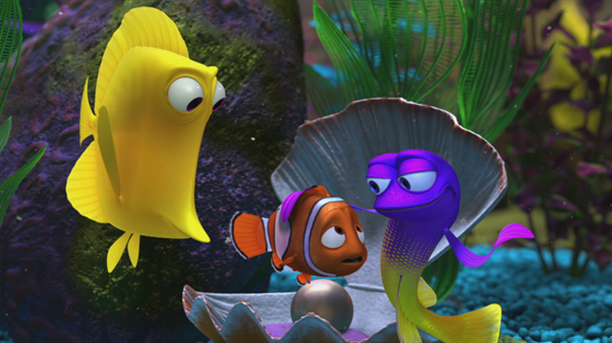 The story should be familiar to everyone, but just in case you’ve been living under a rock for the past 9 years, here’s a quick synopsis: Marlin is your archetypical over-protective parent, mollycoddling his only son Nemo. 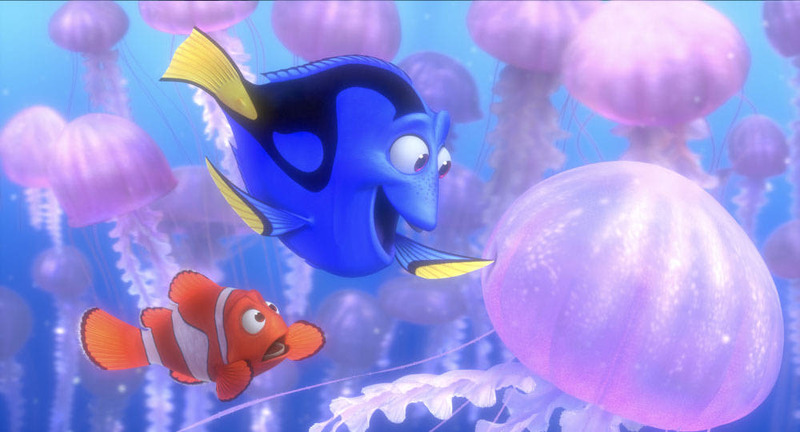 After losing his wife and most of their eggs, Marlin became reclusive and fearful of the outside world, but Nemo’s impending first day at school finally prompts him to leave his sea anemone home. After being embarrassed by his father’s overbearing personality, Nemo sneaks away from his class and heads towards a boat in a display of independence. Of course, this defiant act backfires and Nemo gets captured by a scuba diving dentist. 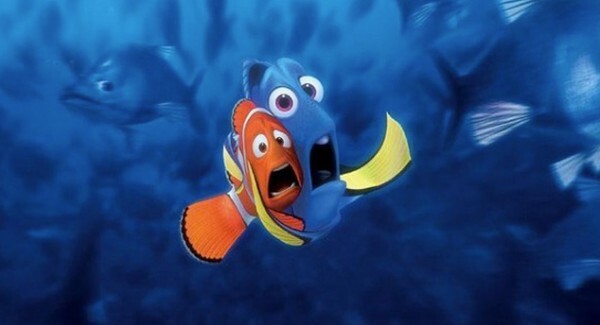 Frantically searching for his son, Marlin runs across Dory, a fish afflicted with short term memory loss, and together this odd couple embark on an adventure that will go down in the annals of fish history... Fishtory. 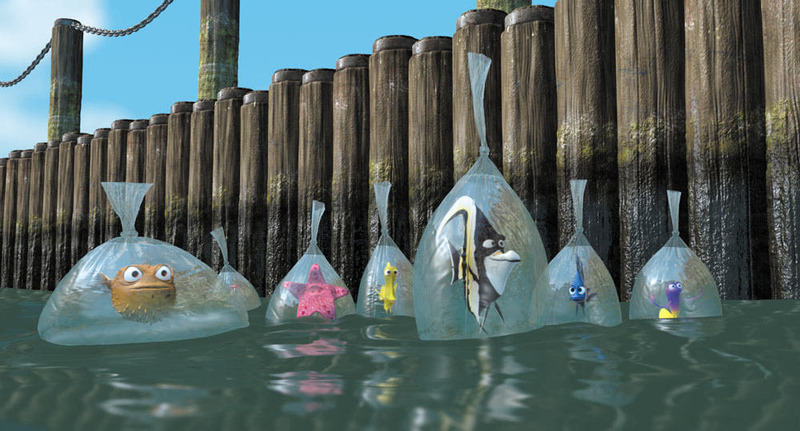 Critically acclaimed upon release, ‘Finding Nemo’ has lost none of its magic. An entertaining romp for all ages, the film, like much of Pixar’s work, transcends the barrier between children’s film and adult effortlessly. 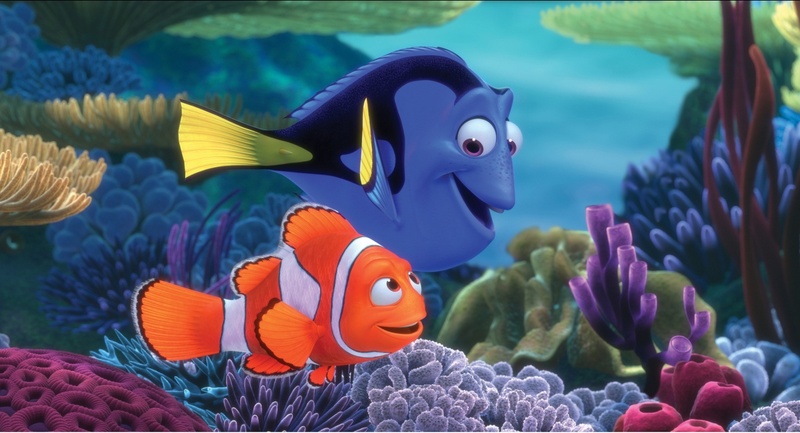 A great film is a great film, regardless of the target demographic, and ‘Finding Nemo’ exemplifies this. A parable about how being too cautious can have negative ramifications, the adventures of Dory and Marlin work because of the heartfelt sincerity of both the writing and the performances by Ellen DeGeneres and Albert Brooks, respectively. Ably supported by a cast featuring such luminaries as Willem Dafoe, Bill Hunter, Geoffrey Rush, Eric Bana and even former talk show host Rove McManus, the film has a distinctly Aussie flavour to it that makes it even more endearing. One word: Wow. The image quality is second to none, a cornucopia of visual delights with colours so bright and vivid and a picture so crisp you can almost reach out and touch it. Make no mistake, this is one of the best looking Blu Rays on the market. The transfer allows for immense gains in minute details, such as the texture of pebbles in the fish tank and the gleam of individual scales on the characters. Pixar’s work is always awe inspiring, but the difference in quality between the standard definition DVD and this release is night and day. You’ll notice little details you may have missed before and visually impressive scenes such as the Jellyfish crossing and riding the current are even more stunning on Blu Ray. I honestly cannot fault one aspect; even minor mistakes that slipped through the cracks on the film’s original release, such as a shadow remaining stationary after its character has left the shot, have been fixed up. Audio Quality is just as impressive, with Dolby 7.1, 5.1 and 2.0 options available. Sound is as clear as if you were sitting in the cinema, with booming orchestral chords stirring up emotions but never threatening to overpower the dialogue or incidental sound effects. You can literally hear everything, from the tiny bubbling of the characters breathing to the faint ‘swish’ of the water as marlin swims - Everything is perfectly balanced and is one of the most robust sound experiences I’ve ever had. Really though, would you expect anything less on such a highly anticipated release? It’s quite clear that Disney and Pixar have poured everything into making this release technically top notch. There are also a myriad of foreign language dubbing and subtitles available. There is an assortment of features exclusive to the Blu Ray release. These include an “Aquarium”, which is basically the menu screen with everything removed, and seems kind of superfluous, and a roundtable discussion with Director Andrew Stanton and other people who worked on the film, which is informative and entertaining but a little too short – I personally could have listened to them reminisce for hours. Also included is an interesting curio from Pixar’s days as a fledgling animation studio, the 1989 short ‘Knick Knack’, which serves to illustrate that the company’s unique sense of humour and technical nous was just as evident in their work even before they hit it big with ‘Toy Story’. Rounding out the special features are an alternate opening presented in storyboard form, a short featurette on the difficulty of using flashback scenes effectively without disrupting the narrative flow and an in depth look at the work involved in modifying the Submarine Voyage ride to incorporate aspects from the film. According to promotional box art, there is to be a CineExplore commentary included, but this wasn’t present on the disc. An undisputed classic of the genre, ‘Finding Nemo’ is still a shining beacon of children’s entertainment; age has weathered this film nary an inch. Although not my favourite of the Pixar canon (This honour goes to the impeccable ‘Toy Story’ trilogy) ‘Finding Nemo’ is a compelling tale that transports the viewer to a world where you cannot help but sit back and watch everything with the wide eyed wonder of a child. In a little under a decade, the film has positioned itself as the barometer against which every other modern animated film is measured and remains a rare example of that timeless magical quality that seems to be lost amongst a myriad of lacklustre releases. Highly recommended, even if you have to use the excuse of “I’m just buying it for the kids” so you can justify adding it to your collection.